The HAMACA Mammoth hammock is a gigantic hammock where you can lay in any direction. 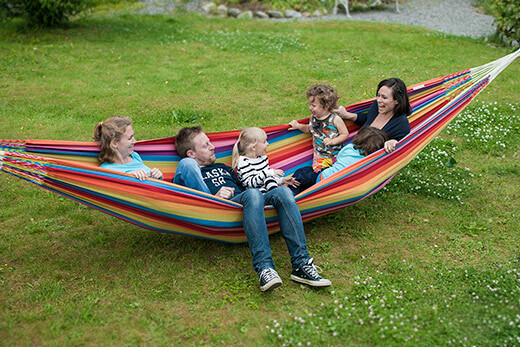 You can easily have the whole family in this hammock. The fabric is made from 100% recycled cotton, so it is gentle on the environment. Being cotton, it is soft and breathable and very comfortable to lay in. It is brightly coloured and machine washable. Designed for years of use, this hammock is perfect for those who want nothing but the very best for summer.